Riding lawn mowers are manufactured in a variety of deck sizes. The deck size refers to how much grass can be cut in one pass based on the size in inches. The deck of a riding mower uses a belt and many other parts and mechanisms to cut grass effectively. The size of the belt depends on riding mower’s manufacturer. Riding mower manufacturers often have a variety of styles and deck sizes of riding mowers. Some belts are designed to work on several deck sizes. If the riding mower is an older model or no longer manufactured, a replacement belt is often recommended by the manufacturer or authorized dealer of the riding mower brand. Manufacturers assign a model number to each style and size riding mower manufactured. The replacement parts for the riding mower are assigned a part number. Generally, this information is found in the owner’s manual. Manufacturers often suggest specific brands or genuine replacement parts in the manual. There’s no standard size for a 42-inch-cut riding mower. Each model uses a different size belt. To give examples, some models use a drive belt that is ½ inch wide by 92 inches in length, while others use a belt ½ inch wide by 85 inches in length. 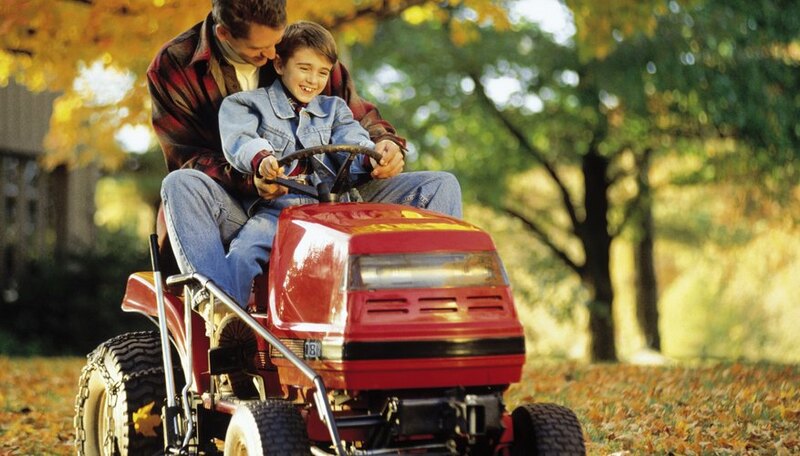 If a manufacture has several 42-inch-cut riding mower models, each model may require a different size belt. If the owner’s manual and other specific information aren’t available, each riding mower has a model and serial number labeled on it. Some manufactures have different model and serial numbers for the engine, the mower deck and the mower. The model number is typically in a location near the engine, under the seat or on top of the mower deck. Find the model and serial number to contact the manufacturer or an authorized dealer to match the information to find the correct belt size.